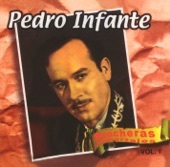 Pedro Infante was a Mexican on-screen character and vocalist. Hailed as one of the best performers of the Golden Age of Mexican film, he is viewed as an icon of the Latin American individuals, together with Jorge Negrete and Javier Solis, who were styled as the Tres Gallos Mexicanos (the Three Mexican Roosters). Infante was conceived in Mazatlan, Sinaloa, Mexico and was brought up in Guamuchil. He passed on 15 April 1957, in Merida, Yucatan, in a plane crash amid a flight on the way to Mexico City. 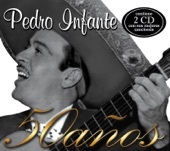 Listen to Miled Music Pedro Infante on your smartphone for free with the Android or iOS application!